Rabbi Lobel came to the synagogue around the time Rev. Haas came to St. John’s United Church of Christ, Rosenberg, Texas. 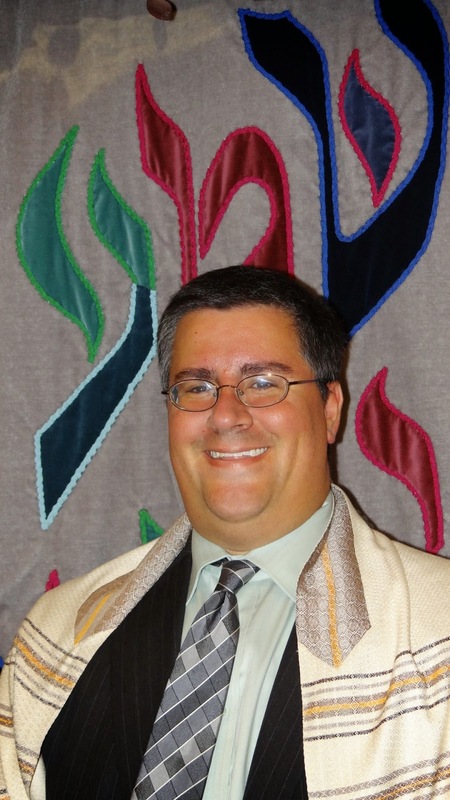 Rabbi Lobel will be officially installed on Friday, December 19th 2014 at 7pm. Everyone is welcome to join Congregation Beth El for this service. This December, Jews around the world will celebrate the festival of Chanukah. Chanukah, which means “rededication”, celebrates the victory of a small band of Jews over the mighty Greek army. The Greeks sought to stamp out the Jewish religion and force everyone to assimilate, to act like them. They even went so far as to desecrate the Holy Temple. But a group of Jews known as the Maccabees, which comes from the Hebrew word for “hammer,” valiantly fought against the Greeks to preserve the Jewish way of life. Though small in number, they defeated their adversaries. According to legend, after their victory, when the Maccabees entered the Temple and began to reclaim it from the Greeks, they immediately relit the ner tamid (eternal light), which burned constantly in the Temple and has a parallel in synagogues to this day. In the Temple, they found a single jar of oil, which was sufficient for only one day. The messenger who was sent to secure additional oil took eight days to complete his mission, and miraculously, the single jar of oil continued to burn until his return. Because of the miracle of the oil, Jews celebrate this holiday for eight days. Chanukah is also known as the “Festival of Lights”, as, during this holiday, Jews light a nine-branched candelabrum known as a menorah. The menorah includes eight branches, one for each day of the holiday, and one branch for the shamash candle that is used to light the other candles. In ancient times, oil was used in the menorah. Over time, candles were substituted for oil. The Hanukkah menorah can also be called a chanukiyah. Oil also plays a role in the traditional foods of Chanukah – potato pancakes, or latkes, and jelly donuts, both of which are fried in oil. These foods remind us of the miracle of the oil lasting eight days when it should only have lasted for one day. Today, Chanukah reminds the Jewish people to cherish their religion, its unique rituals and its eternal values. It also challenges Jews to “rededicate” themselves to stand against forces that would destroy Judaism, thereby keeping alive the flame of Jewish religion, culture, and peoplehood so that it may be passed on to the next generation.